Couple offers to give her lift, only to drive away with all of her stuff. Beware the "kindness" of strangers... This week in San Jose, a graduate student was robbed by a seemingly helpful couple who stopped to give her a lift after her car broke down, only to drive off with all of her stuff. Cecilia, who is not revealing her last name, was driving to work when her car broke down. Things started to look up when a couple of Good Samaritans drove up, helped her push her car to the side of the road, and offered to drive her to work. She accepted the ride and agreed to pay for gas... and that's when a bad day turned worse. If you need a ride, I can help you get there but would you mind getting me some gas in exchange. I said, of course," said Cecilia. 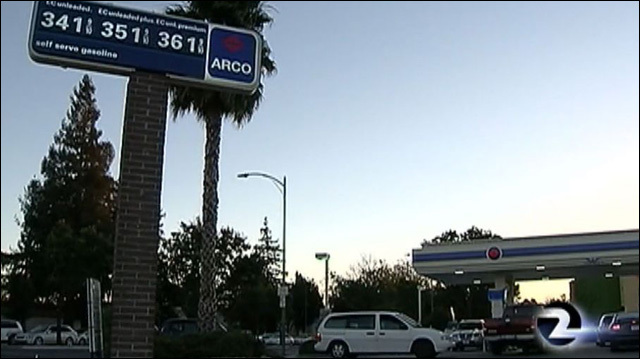 The 22-year-old tells KTVU they first drove to a nearby gas station, but she was unable to buy gas there since it didn't take credit cards. They drove to another gas station and that's when things went wrong. When Cecilia got out of the car to pay at the pump, the man drove off with her stuff. "It's frustrating I thought these people were helping me. Instead, they robbed me and they stole all my belongings," said Cecilia. Cecilia is a graduate student at Santa Clara University and works as a student teacher at a high school. The thieves, who were driving a four door gray Honda sedan, made off with Cecilia's guitar, an iPad she borrowed and her book bags, which included notes for the class she teaches and all of her students' essays. That's cold. Police say investigators have identified a suspect based on surveillance footage at the gas stations, but have not yet made any arrests. Catch those sucka thieves! Help Cecilia get her stuff back!